1) Pages. We have updated the pages of this website. Hopefully the change will make it easier for visitors to move around the site, learn about us, connect with us and grow in their faith. If you would like to connect with us, click here to contact us. 2) Prayer. 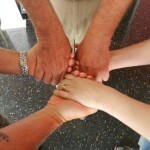 We have created a 24/7/7 Prayer Team. 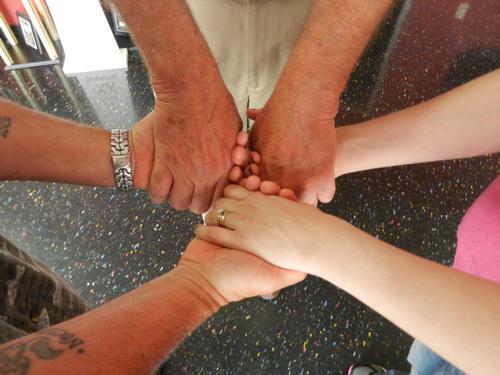 There are New Hope members committed to praying each day of the week both in the a.m. and the p.m. for people to come to know Jesus as their Savior and Lord through New Hope. Other prayer initiatives will follow. If we can pray for you or you would like to join the prayer effort, click here to contact us. 3) Pocket Crosses. The members of New Hope are distributing crosses that say “God Loves You” in an effort to share the faith and love of Jesus with whoever we can. 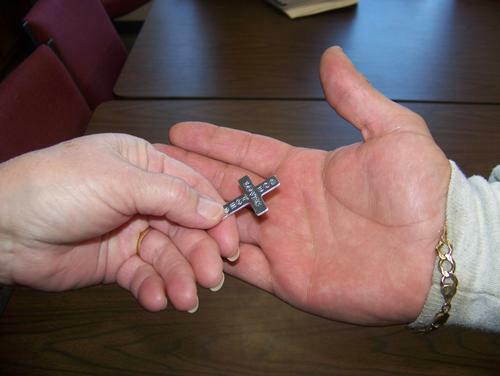 The cross, when it is kept in a pocket, wallet or purse, or when placed in a conspicuous place in your home (mirror, refrigerator), car (steering wheel, dashboard) or at work (desk, monitor, locker) can be a great reminder that you are never alone in your life struggles. 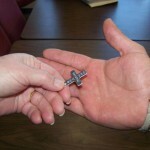 If we can provide you with a cross or you have a cross story to tell us, click here to contact us. 4) Programming. The New Hope leadership has voted to add a Director of Children and Youth Ministry to our staff. This person will gather pre-school through middle school age children on Sunday mornings for a time of worship and instruction as well as develop mid-week studies and fellowship activities for them. 5) Publicity. We hope to do better promoting who we are to the community using the media and activities that will make us visible to those seeking a church with our vision and purpose. 6) Place. We want to establish a new physical presence that will offer more than a meeting place for Sunday worship. We are looking for a building that is uniquely ours where our New Hope family might gather and serve the community we are trying to reach with the love of Jesus Christ.